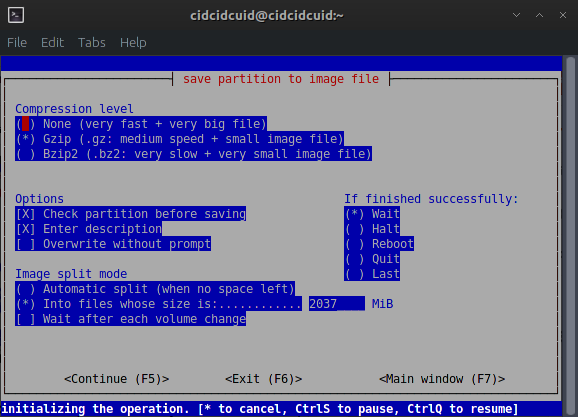 Partition Image or Partimage is a opensource tools to backup partitions. It can saves partitions into image file. The image file can be compressed and also can be split into multiple files to be copied into DVDs or CDs. It also can be saved across network using partimage network support or using NFS (Network File Systems)/Samba. If you want to backup/restore a partition, just choose the partition that you want to backup, then go to "Image file to create/use" for placing/insert the image backup. If you want backup then write the name file. Then choose "action to be done", press space to choose option that you want to, then press F5 to continue. Then choose the options that you want to. 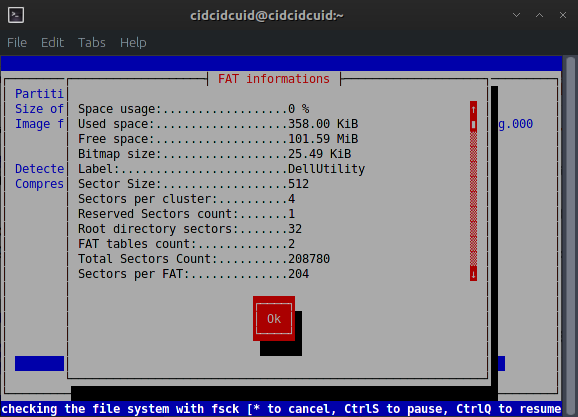 Then Press F5 to process.., just follow the GUI, for example below is backup fat image. 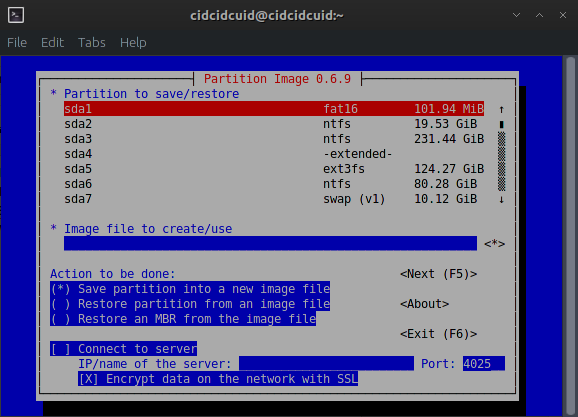 It's easy to use for backup / restore partitions, but it has limitations, it can't backup ext4 and brtfs partitions.